Have you ever wanted that Hollywood look? Well, thanks to our Queen of Chic, now you can. 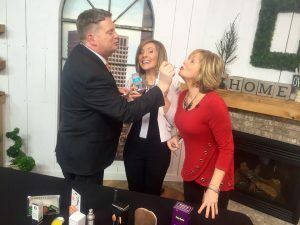 Amy Scalia went on “Good Day Columbus” this morning and shared six amazing products that’ll give you that celeb-inspired look. You can check out our list below, plus watch the full video by clicking here. If you want to look like Demi Moore – who’s over 50 without a wrinkle on her forehead – without looking face-lifted … here’s a beauty secret: topical hyaluronic acid. 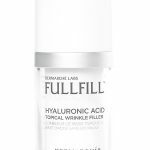 FULLFILL is my favorite product with this important ingredient because it painlessly reduces the appearance of fine lines and wrinkles by just applying a tiny drop to targeted areas before bed. You’ll start to see the difference in 2-8 weeks. Available for $89 at Sephora or Nordstrom. Many celebs – like Halle Berry, Kim Cattrall, and Sandra Bullock – are opting to avoid plastic surgery and age gracefully. In fact, you don’t even have to get your good skincare products at a plastic surgeon’s office any more. In a recent study published by the Journal of Drugs in Dermatology, this product delivered 3x better results, and was 4x easier to use compared to Obagi, a popular dermatologist-level skincare brand. 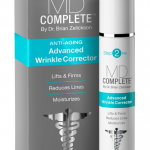 MD Complete’s Anti-Aging Advanced Wrinkle Corrector is a uniquely hydrating professional Retinol treatment that lifts and firms skin while smoothing out fine lines and wrinkles to reveal more youthful looking skin. Available for $39.99 at Target. Kate Hudson is super athletic, hands-on playing with her son, but she’s always glowing. Green Goo is perfect for that! It’s an all-natural, multi-purpose, herbal-packed powerhouse that soothes and heals bumps and scrapes (for you and the little one), while moisturizing, smoothing fine lines, and giving a youthful glow. 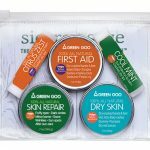 The “Travel Pack” is available for $24.95 at greengoohelps.com. The Kardashians are known for their contouring. I love the Cailyn Cosmetics O! Wow Brush because it combines the best of a sponge and brush, making contour line blending a breeze. Available for $32 at thegrommet.com. This is a product that Demi Lavato uses, endorses, and LOVES. What’s great about it is that’s the same Fake Bake product actually works for everyone – no matter what skin tone or skin type you have – because it’s natural ingredients work to enhance your skin’s unique pigment. Each application lasts a week. Available for $26.50 at fakebake.com. *The lip enhancer is only online right now, but it’s rolling it out to all stores soon; it’s just not in all locations yet. In the meantime, you can either order it as an online exclusive at CVS or on the Manuka Doctor website.